Here are the air times for this week’s episodes of The Torque Show, hosted by Justin Bell and Tommy Kendall. The show streams live on Motor Trend’s Facebook page. This is ahead of Round 3 of the IMSA season, the BUBBA burger Sports Car Grand Prix. 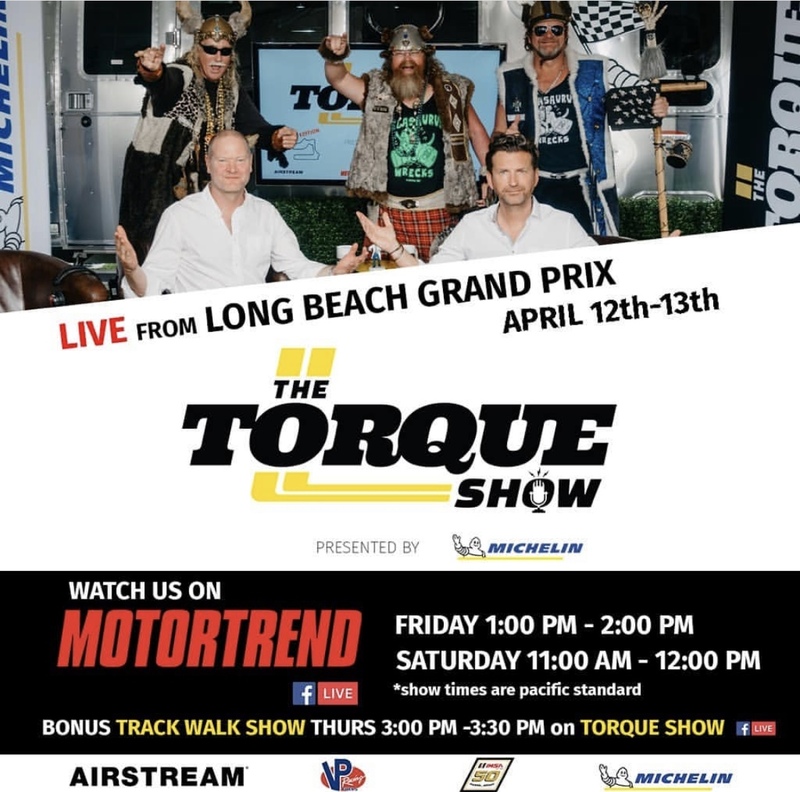 Michelin is the presenting sponsor of The Torque Show. The show reached more than one million views in the first two weeks after Daytona. Additional support comes from VP Racing Fuels and Airstream. The Airstream trailer and The Torque Show set is in the IMSA paddock at Long Beach. It’s located just past the crossover bridge prior to Turn 11, the hairpin, of the 1.968-mile street course. Sebring episode archives are linked here (Episode 1, Episode 2, Episode 3). In Episode 2, Michelin Motorsport global director Matthieu Bonardel stops by the show. His appearance begins about 25 minutes into the episode.